Home » Celebs » Ariadna Juarez Wiki: Relationship With Kid Of Age 13, Is Dating Morally Right? Is the relationship between an adult and a minor ever justified? Experts might have debated about it for years but a Youtuber of 18 years of age, Ariadna Juarez, came forward renewing the debate. Is pedophilia actually a crime, or just an impediment to people's happiness? The Texas native rose to fame through social media platforms like Youtube and Instagram, but she drew the attention of the world, including some serious social workers, when she came clean about her dating a thirteen-year-old boy. According to the wikis, the social media star has thousands of subscribers in her Youtube channel and Instagram. Here we present to you about some interesting(?) wikis about her. 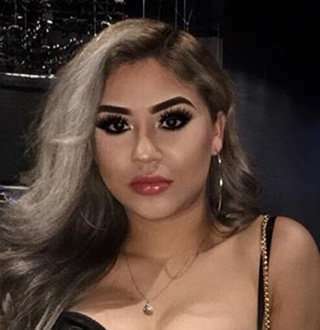 Born on 5 May 2005, Ariadna Juarez is a Dallas based YouTuber and beauty vlogger. An averaged height persona, she is primarily a beauty vlogger who talks about makeup and beauty tips, while also campaigning for ‘Promoting Happiness’. People might have problems with her campaigns but that is just them having problems with someone’s happiness (someone being her). So, here is the story. Ariadna was already famous on Youtube and Instagram but fame wasn't enough, she wanted to do some progressive works for society. She wanted to tell the world about love; there simply weren't enough love stories around. So, she revealed that she was dating a minor of 13 years of age, while she was 18 years of age, i.e. an adult. She uploaded some photos of her and the kid, who was shirtless in some of them, in the bed. Maybe, she wanted to show the world that love came in different shapes and forms, and for her pedophilia was one of them. Ariadna thought since it is all about happiness, people should have accepted her relationship instead of making that big of a commotion. After all, he is only five years younger than her—and a minor. Her point, since the two of them (one of who is a minor whom the state of Texas has deemed 'not of age' and thus incapable of making decisions for himself, especially of the sexual kind) are happy, people should have been accepting. She even uploaded a video with the mother, explaining how it is not an uneven relationship. She didn't say, however, on what grounds it is even. Anyway, just because the mother agreed to the relationship, it doesn't become right. Interesting: Why and How do celebrities keep their personal life private? There is a kid who is not sexually mature, who has no idea about relationships. And Ariadna is open-minded enough to give her little boyfriend the green flag to make life-altering decisions. Courtesy to the deafening outcry from people, Ariadna finally decided not to pursue the romance. I can tell you, one year is not going to make a difference when you love somebody. You can love the same person today, tomorrow, next year or three years later. For that same reason, we decided we’re gonna wait and we are gonna try this again when everybody will be OK with it. Well, Phew! Ariadna took the moral high ground (at least she must be thinking that she did). She decided not to take advantage of a minor, rather allow him to grow up and decide for himself. That was the only thing most of her critics were asking for.